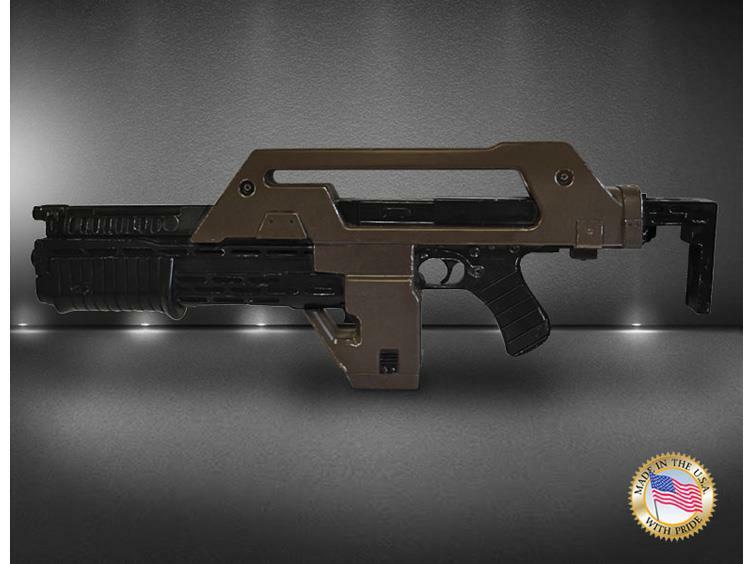 One of the most Iconic movie weapons ever to blast its way onto the big screen, the Pulse Rifle is the weapon of choice for the US Colonial Marines in James Cameron's Oscar winning "Aliens". 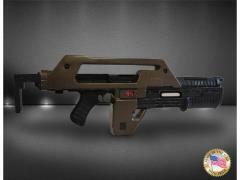 Several "Hero" Pulse Rifles were created, mainly for the live firing sequences, but most of the time what you see on screen are lightweight "stunt" versions - the hero versions weighing in at a hefty 20lbs or so! 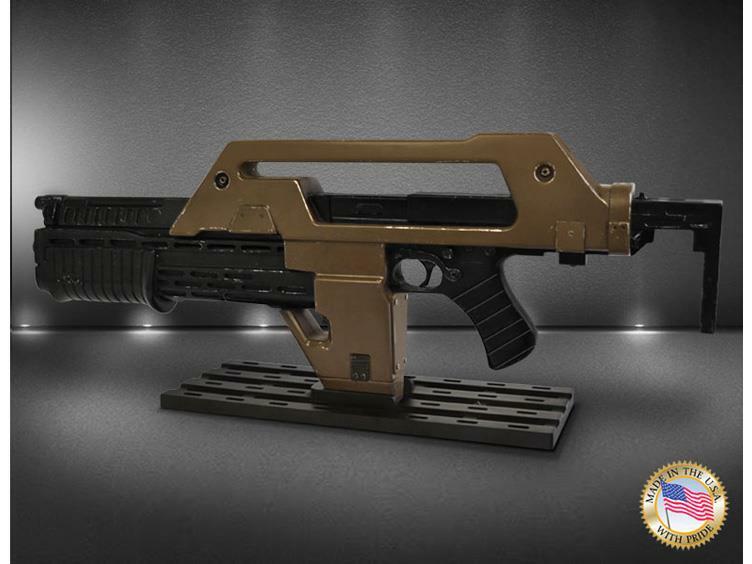 To create the definitive Pulse Rifle one of the few surviving Hero Pulse Rifles was obtained, meticulously measured and photographed every detail and then painstakingly recreated this exactly. 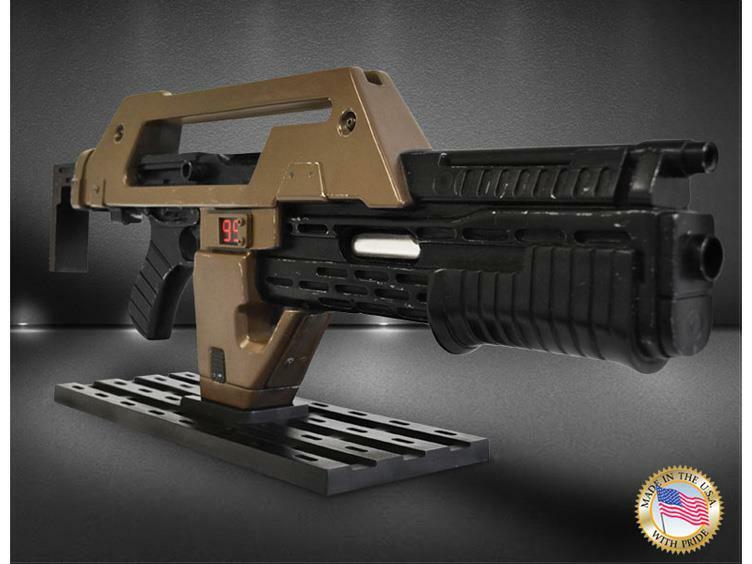 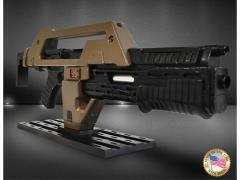 The result is the most accurate replica ever produced, a "must have" for any Aliens fan! 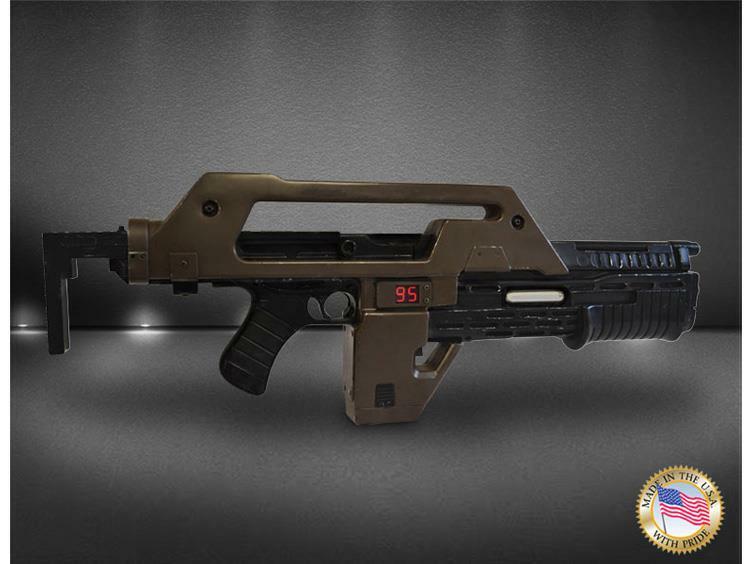 The Stunt version Pulse Rifle remains faithful to the ones seen in the movie, with accurate shrouds the same dimensions as the “hero” versions, but has no moving parts and weighs less - ideal for display or Cosplay!